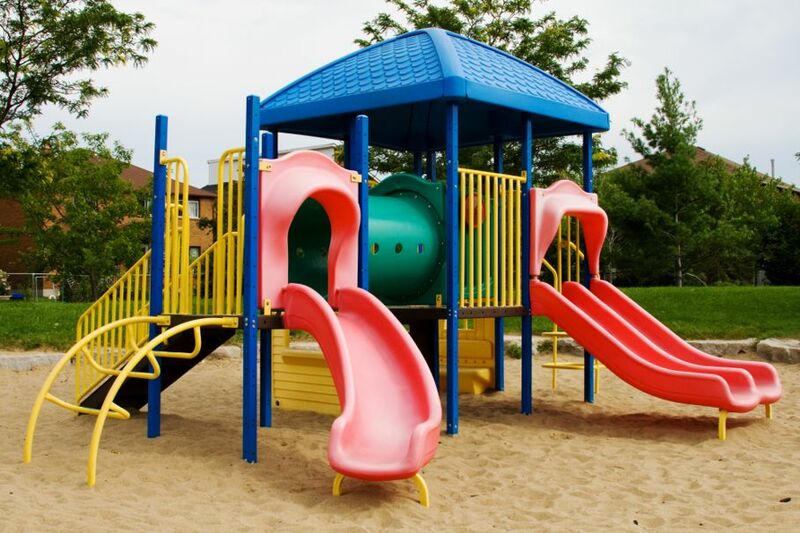 Weigh the pros and cons of each one so you can choose the best playground surface for your children. Safety. What will protect your children in case they fall? Will the ground cover become a choking hazard? Will there be fumes or other dangerous side effects? Visual appearance. How will the ground cover fit with your home and the rest of your landscape? Maintenance. How much time do you have available to care for the ground cover? Do you need to choose a low-maintenance material? Accessibility. Do you have children who use a wheelchair to get around? Do you need a ground cover that will make the playground more accessible by wheelchair? Budget. How much money can you afford to spend on your playground ground cover? 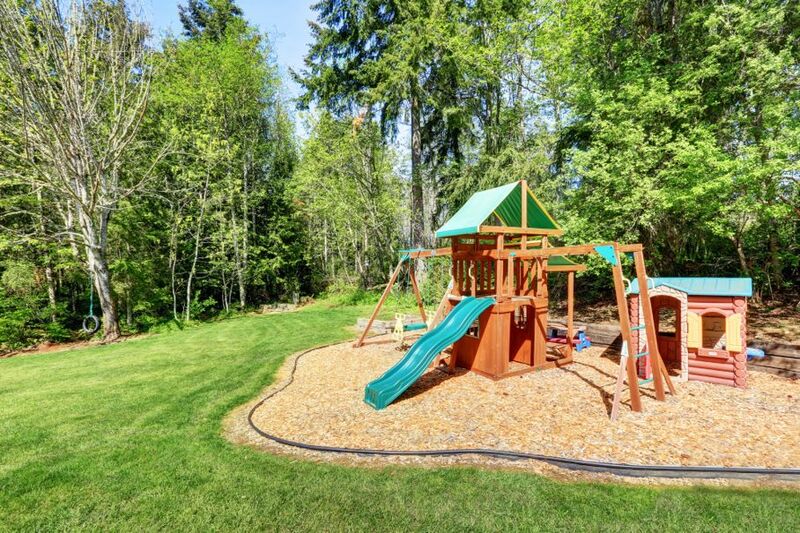 As you think about these five things, weigh the pros and cons of the following playground surface options for your backyard. 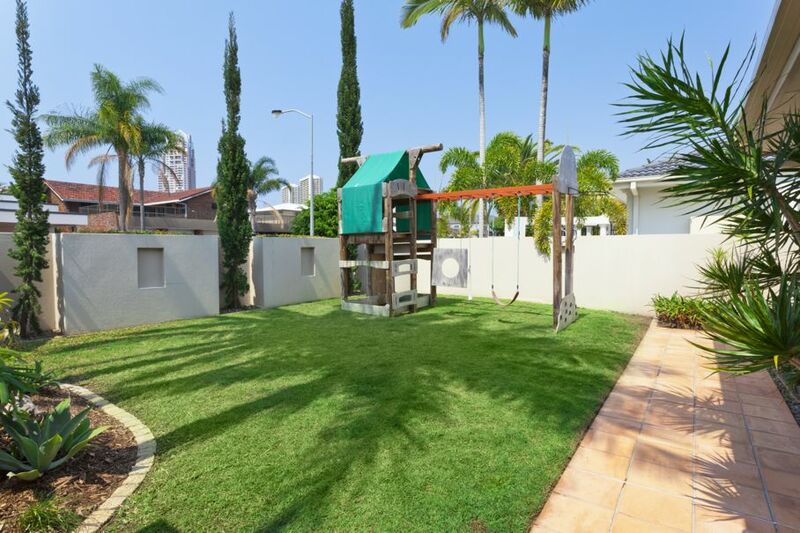 If your backyard already has grass, why not continue it under your playground? It can add a streamlined look, which looks great in your backyard. One of the biggest disadvantages to grass, however, is that it takes a lot of work to upkeep. You need to water, mow, fertilize, aerate, watch for pests, and take other measures to keep your grass looking great. When it comes to watering your grass, you must be very careful about the water hitting your playground equipment. The metal parts will start to rust overtime with too much water exposure. 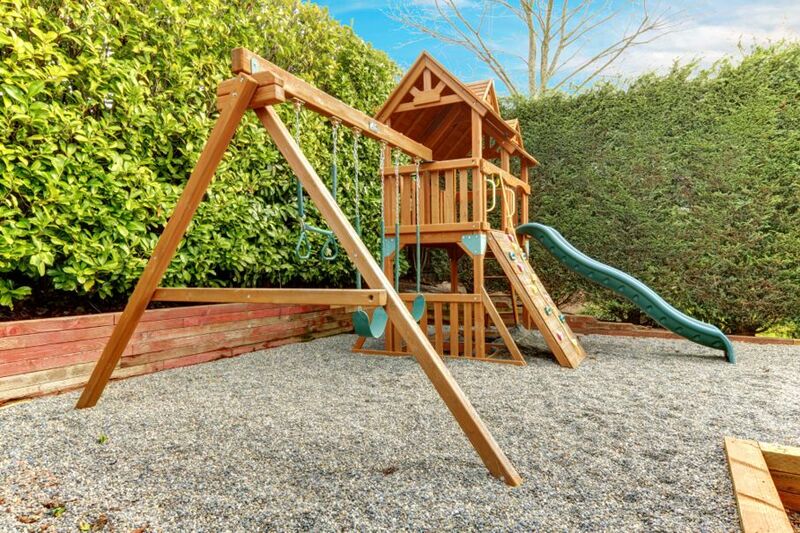 Sand and pea gravel are one of the cheapest options. These fit well with most garden décor, and it’s safe for the environment. Keep in mind that these materials require a barrier around the playground space to keep everything in place. Plan on adding plenty of sand (or pea gravel) to keep it loose. If it becomes too compact, it could harm your children if they fall on it. So, for an 8-foot-high playground structure, the sand should be at least 12-inches deep. On the other hand, sand and pea gravel are choking hazards for young children. These materials also make your playground into the perfect outdoor litter box for cats and other animals. You need to watch for feces and remove any you find as soon as possible. 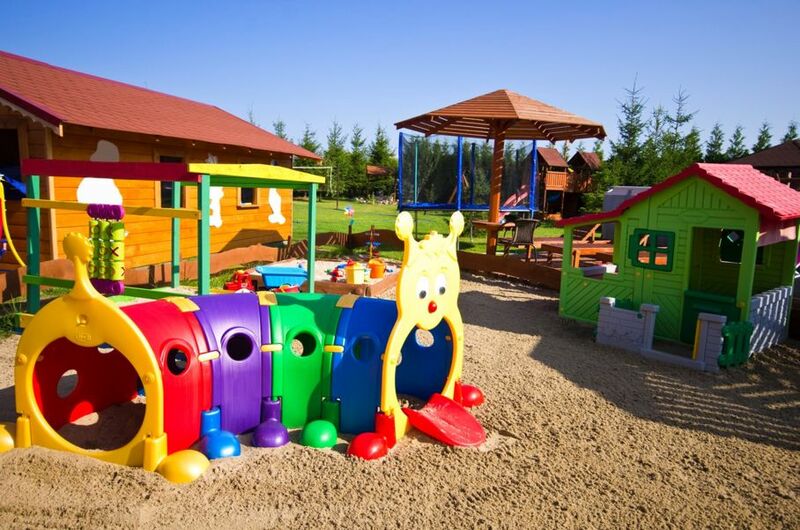 Wood is relatively inexpensive compared to other types of playground surface materials. It’s easy to add around your playground structure. The wood is sturdy and durable, so it won’t blow away. One of the drawbacks to wood chips is that they may attract roaches and other pests. The wood chips also need to be replaced every 2-3 years since wood is biodegradable. Recycled rubber has become a popular option in recent years. The shredded rubber pieces are made from old tires. This ground cover makes a great weed barrier around your playground. It’s soft to protect children if they fall, but it should be 12-20 inches deep for best results. You should be aware that in rare cases the recycled rubber has caught fire, releasing toxic fumes. 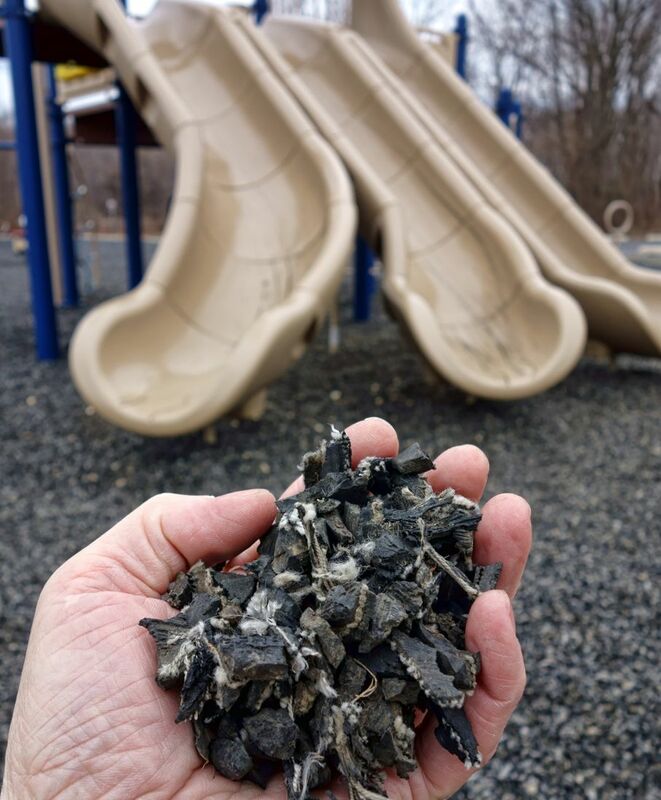 Although this is uncommon, it would be important to remove all affected rubber before allowing children to return to the playground. If you don’t want to use recycled rubber, get rubber mats or have the rubber poured into place. The solid rubber is beneficial because it’s slip resistant, drains well, lasts a long time, and is wheelchair accessible. It’s soft enough to protect children in case of falls, too. However, it’s not environmentally friendly like the other types of ground covers. 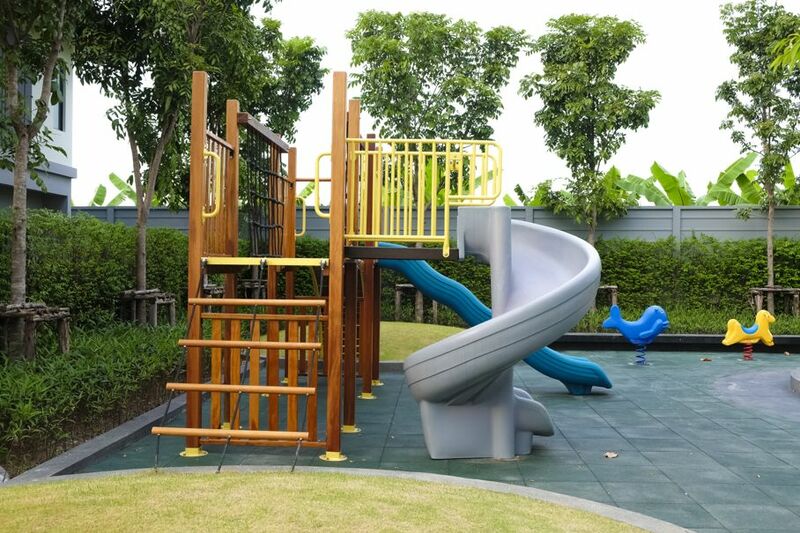 The solid rubber options are also the most expensive choices for your playground surface. 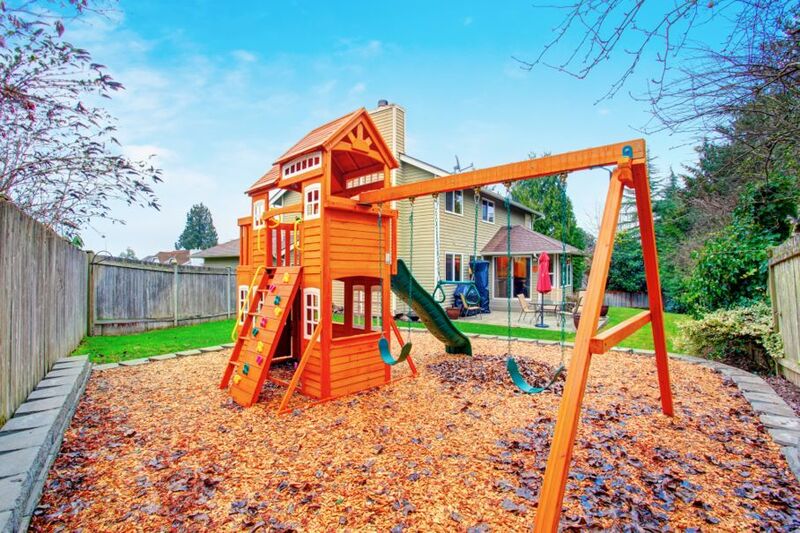 Weigh the pros and cons of each one, and choose the best playground surface for your home based on the level of safety, visual appeal, accessibility, maintenance, and your budget.